Part of the small Jewish community in Sofia came to the synagogue for the last two evenings, in order to have the traditional Pesach Seder. Pesach is the Hebrew word for Passover. To Jews the seder is about freedom and symbolically retelling the story of the Exodus, which is the founding myth of Israel. The fundamental patterns of this ceremony are the family, the individual and the nation. 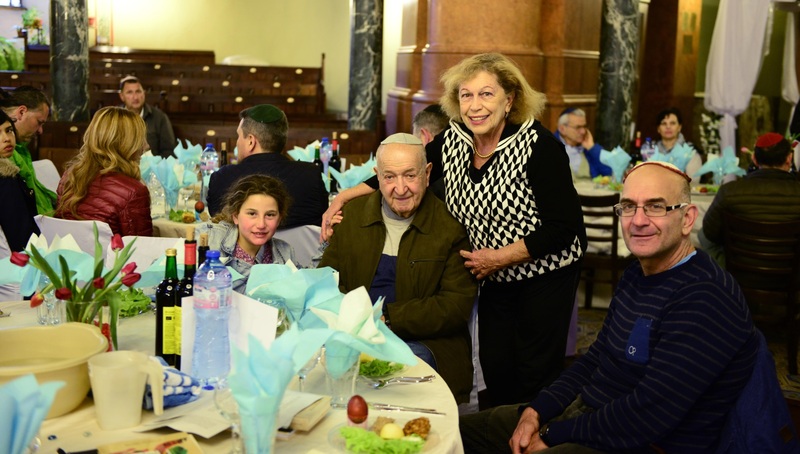 All generations came to the synagogue on Saturday. 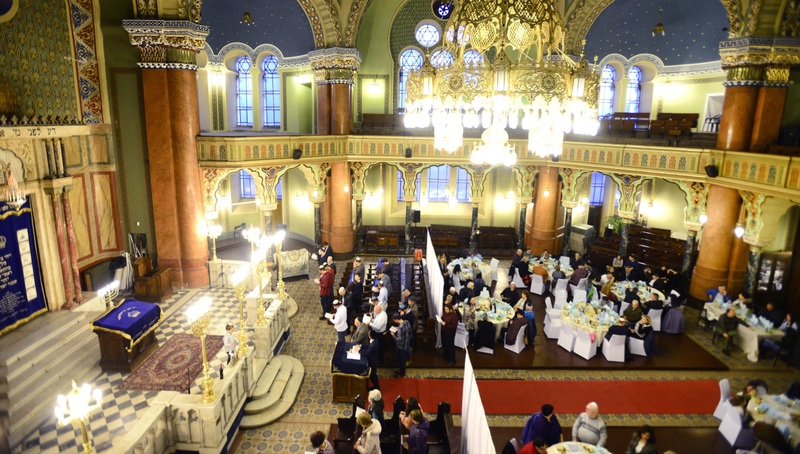 Children were running around in Sofia Synagogue, which looked very nice in Pesach mode, with prepared dinner tables. The color theme was orange. All generations were part of the Seder. Photo: Solomon Frances. Once the Seder started, some members prayed with the congregation’s Israeli Rabbi behind a curtain, while others exchanged the latest stories about their families and about life in general. 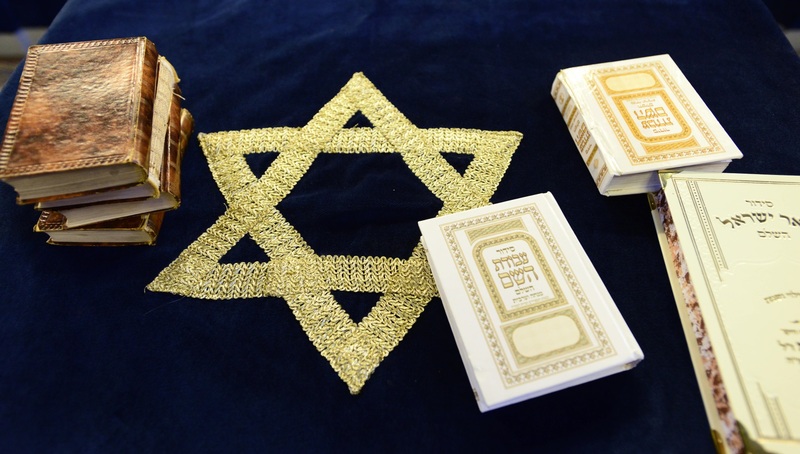 On each table, books in both Bulgarian and Hebrew explained the symbolism of all Pesach Seder traditions, which involve eggs, potatoes, salty water, celery, unleavened flatbread called Matzo, and wine. Some one hundred community members and other guests took part in the Seder on Saturday. Police and security agents were on site as well, mainly due to the presence of the Ambassador of the United States of America to the Republic of Bulgaria, Eric Rubin, and his wife. The atmosphere at the Pessach Seder was relaxed. The event felt like a huge family reunion. It included many senior members, mostly ladies, families and young members in their twenties and early thirties. The President of Shalom, the secular organization of Bulgarian Jews, Alexander Oscar, and his family were there too, just like Sofia Cohen, the President of the Central Israelite Religious Council of Bulgaria, and her family. The participants prayed and sang, but mainly talked. Photo: Solomon Frances. 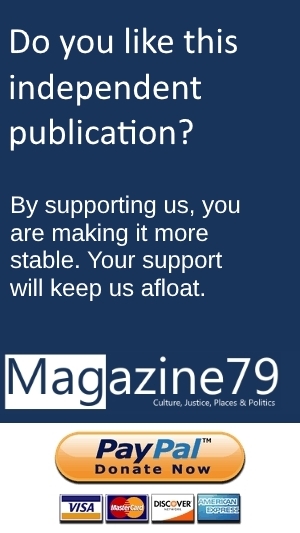 The community just finished a long series of events which marked the 75th anniversary of the rescue of the Bulgarian Jews in 1943, along with commemorations for the Jews from Macedonia and northern Thrace, who were deported and murdered by the Nazis. A book, entitled “Bulgarian Jews: Living History” was just released, during the anniversary. It tells the entire story from thousands of years ago until today. Even the future of this community is part of the book. So are hundreds of photos and pictures. The book is available at Amazon U.K., at Sofia Synagogue, at Shalom in Sofia, as well as the Nissim book store in Sofia.